Watermelon is a healthy & nutritious fruit which is good for baby’s eye development and heart health. Also, it is helpful in improving baby’s immunity and maintains water balance. 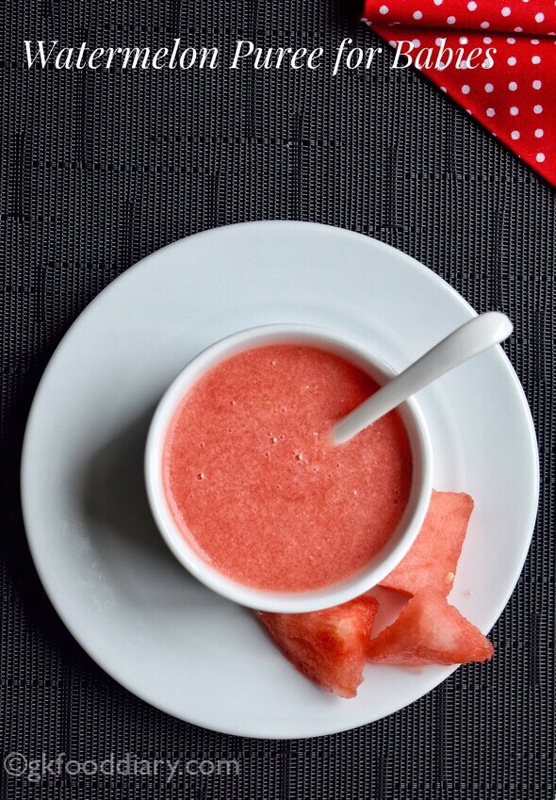 Watermelon can be given to babies form 6 months, and this watermelon puree is the best way to introduce watermelon to babies. 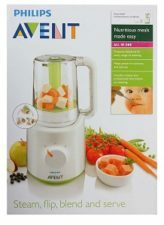 Babies will sure love this puree for its sweet taste. 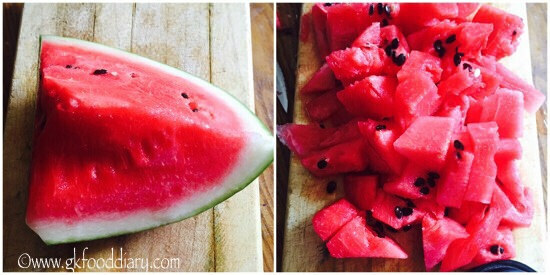 Also Check out the detailed post on watermelon for babies here. Let’s get on to check how to make the fresh watermelon puree for babies. 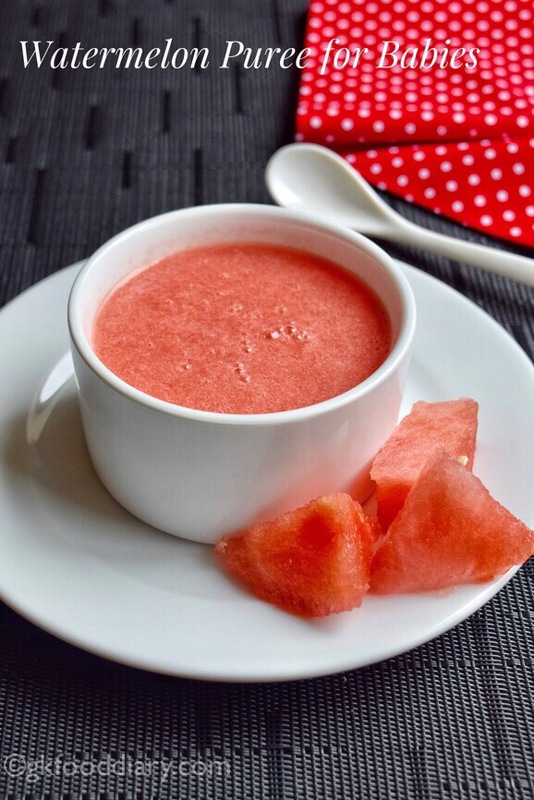 Watermelon Puree- Easy and healthy puree recipe with watermelon. Wash the watermelon in running water thoroughly. Then remove the outer layer using a big knife and cut them into cubes. Measure and take 1 cup of cubed watermelon. Remove the seeds. Then transfer the watermelon cubes to the blender. Blend it for 10-15 seconds. 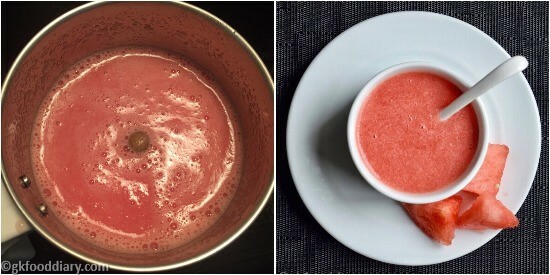 Transfer the pureed watermelon to a bowl and feed your baby! 1. Wash the watermelon in running water thoroughly. Then remove the outer layer using a big knife and chop them into cubes. 2. 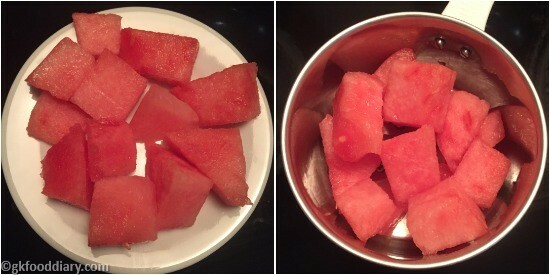 Measure and take 1 cup of cubed watermelon. Remove the seeds. Then transfer the watermelon cubes to the blender. 3. Blend it for 10-15 seconds without adding any water. Transfer the pureed watermelon to a bowl and feed your baby! Make sure to remove the seeds before blending it into a puree. You can also add any other fruits like banana, avocado, etc. to complement the watermelon taste. 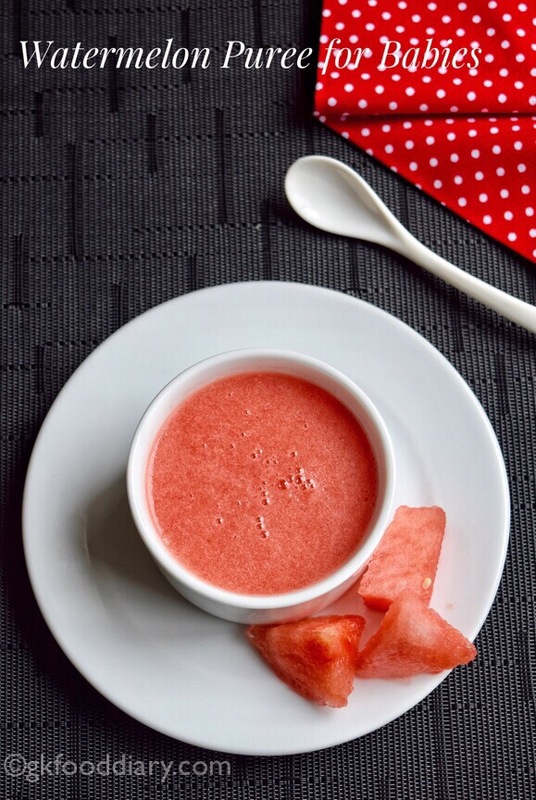 Add this watermelon puree to any baby porridge as a sweetener. 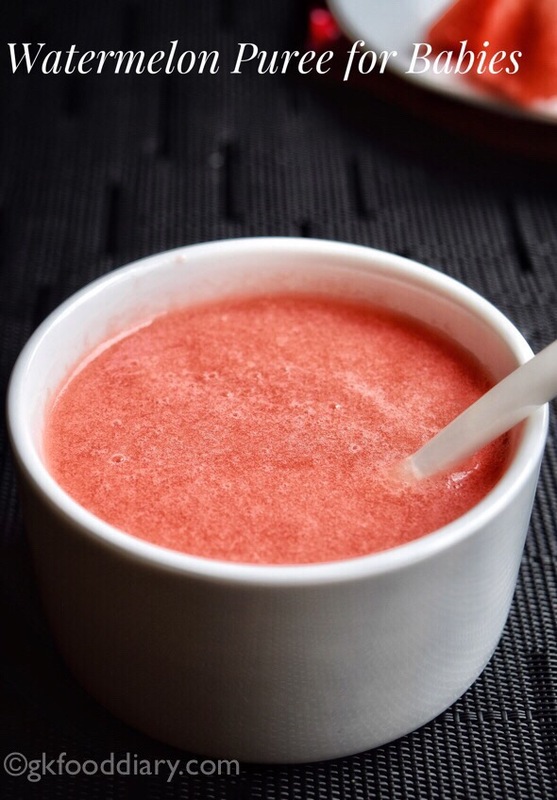 Always serve the watermelon puree fresh.